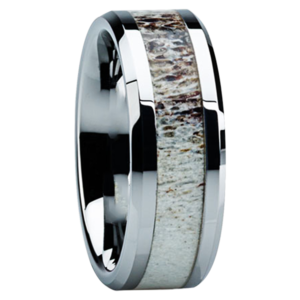 PLEASE NOTE: When you purchase one of our Exotic Inlay Titanium rings, we will first send you a sizing ring (the Jewel) or one of similar value before we place your order to make sure that the size you have ordered is exact. This sizing ring is sent to you as a free service to ensure accuracy when ordering one of our Exotic Inlay rings. If you have questions about this free service please call 801-755-1661 or email ringsales@live.com. 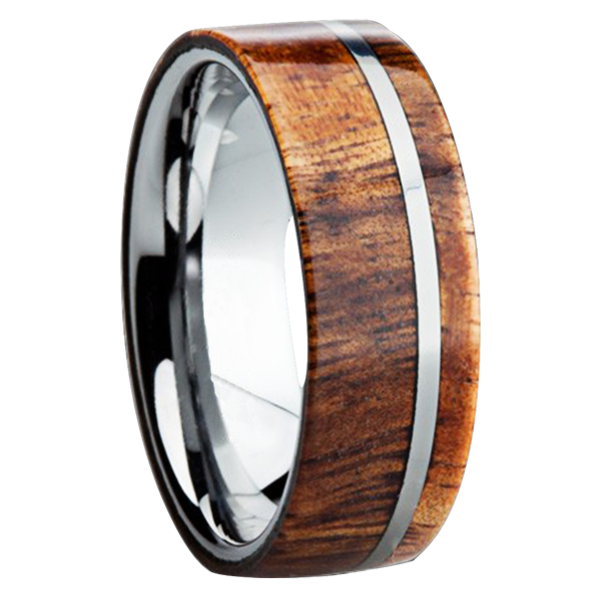 8 mm Titanium, with an elegant KOA wood inlay and beveled edges, Comfort Fit. 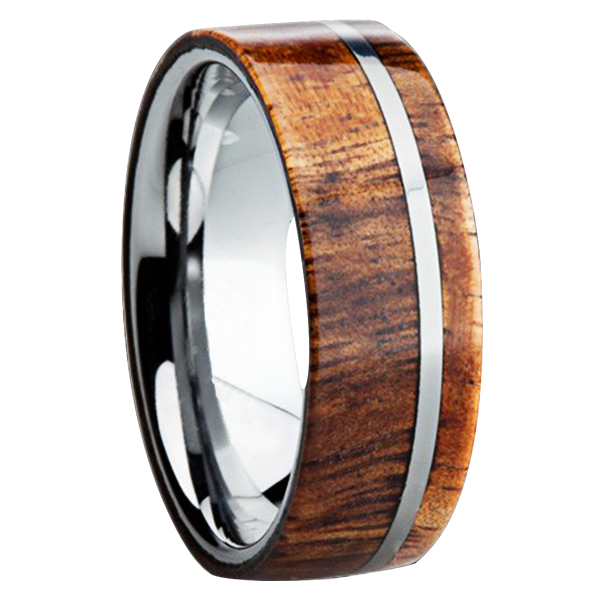 This ring is available in a wide variety of wood types – let us customize one for you! Handmade, custom rings are made to order and take apx. 5 weeks for completion. Remember that you will receive your “Jewel” ring immediately (to guarantee sizing) which can be worn for ceremonies and at other occasions until your custom ring has been completed. 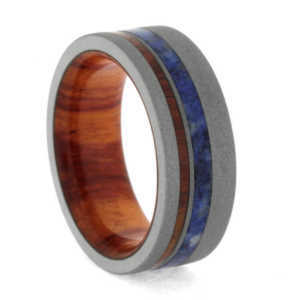 These exotic inlay rings are made with aircraft grade-five titanium. 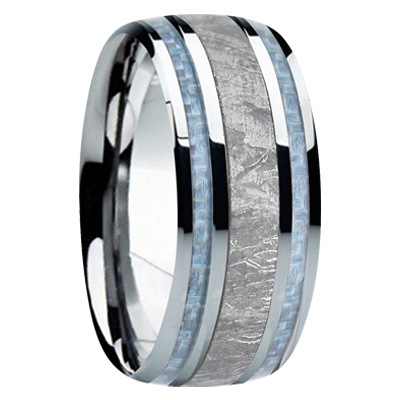 This titanium is the highest grade available and is extremely durable. Titanium is known for its light weight and is commonly used in aerospace and sporting goods. 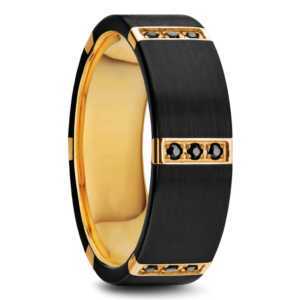 It is hypoallergenic and biocompatible. 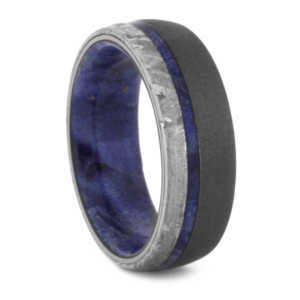 Handmade exotic inlay Titanium rings are made to order and as such these custom rings cannot be returned for refund. This collection carries a full one-year warranty against manufacturing defects.